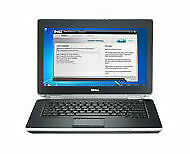 Dell Latitude E6430 ATG Laptop(semi-rugged)Core i5 3340M 3rdGen 2.70 Ghz 3G 8 GB/128GbSSD. DVDRW drive, toughened screen withview-able outside display & carrying handle. Great laptop runs very well. DELL E6430 LAPTOP. HDMI & VGA OUTPUT. DELL LAPTOP. FRESH INSTALL OF WINDOWS 10 READY FOR NEW USER TO USE. DVDRW DRIVE INSTALLED. X 3 USB PORTS. WIFI:BUILT IN. Dell Latitude E6430 Core I5 2540M 2.60GHz 4GB RAM 250GB HDD Windows 10 Pro needs keyboard battery and cddvd drive. Powerful Dell Latitude E6430 Laptop for sale. 128 GB SSD. Microsoft Office 2016 Professional 64bit, Internet Explorer, Adobe Reader, Flash Player. 8 GB DDR3 RAM. Hard Drive. Optical Drive. This may be delayed if extra software is requested. Dell Latitude E6430 ATG. Various : Webcam, HDMI, VGA, SD Card Reader. Hard Drive :500GB SATA. CD Drive : DVD /-RW. WiFi : Yes. AC Adapter : Included. Battery : Minimum 3 hour standby. Make / Model Dell Latitude E6430. Hard Drive 500GB SSHD. Laptop Specification. Mouse / Point Device Dual point system Multi-touchpad. Other Various Ports HDMI. Keyboard US QWERTY Keyboard. USB Ports 3 x USB Ports. (MODEL: LATITUDE E6430. 8GB FAST RAM. 500GB MASSIVE HDD HARD DRIVE, CD/DVD WRITER, HDMI PORT, USB, RJ45 LAN PORT, WiFi. MANUFACTURE: DELL. WINDOWS 10 PROFESSIONAL 64bit. HOWEVER, THIS DOES'T AFFECT ANY FUNCTIONALITY). Main Storage: 1TB HDD in caddy in DVD bay. RAM: 8GB DDR 3 1600Mhz. Batterries:Original Dell Standard about 2 hours. Official Dell Manuals. Condition: Refurbished. There are two small scratch marks on the lid (see pictures). Latitude e6430. Integrated Onboard Graphics - VGA & HDMI Output. Windows 10 Pro. Audition Dance Battle Online . DC Universe Online . LEGO Universe . The Sims 3: High End Loft Stuff . Mass Effect 2 . Make/Model Dell Latitude E6430. Hard Drive 500GB. Drive DVD R/W. All prices displayed with products apply to England, Wales and parts of Scotland. Network LAN Enabled. USB Ports 2 Ports. 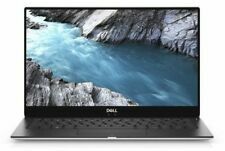 Brand: DellProcessor: Intel Core i7 3rd Gen.
New 240GB SSD. - Dell AC Power Adaptor included. The condition is fully detailed above. 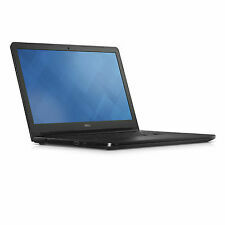 DELL LATITUDE E6430 -. YOU WILL RECEIVE THE LAPTOP WITH 4GB RAM & DVD/CD DRIVE. YOU WILL NOT RECEIVE A HARD DRIVE OR RAM! MOTHERBOARD/ RAM SLOTS FINE;. Dell Latitude E6430 laptop for sale. Very Fast 128GB SSD storage. The laptop has been cleaned externally and is ready to use straight away! The specification sheet of the machine is below Qwerty Backlit Keyboard. Type: Notebook/LaptopBrand: DellProcessor: Intel Core i7 3rd Gen.
Hard Drive 500GB. Ram 4GB RAM. Product Details. ALL IN ONE PC. Ending Soon. New Arrivals. In the case of any software related problems we will do our best to help you but will not be responsible for repairing the machine. Dell E6430 14". 1x Dell E6430. As part of the sale you"ll receive Our Product Note 2.60 GHz Processor. Dell Latitude E5430. 320GB HDD. 14" Windows 10 Pro. Dell Latitude E5430. 320GB HDD- 298GB Usable. All updates, both Windows and Dell, have been done. Just switch on and you are ready to go. Screen has no scratches, but does have a tiny black mark top centre. The right side of the Latitude 6430u houses ports for USB 3.0, Gigabit Ethernet and a secure lock slot. An SD Card slot rests along the notebook's right lip. Another USB 3.0 port sits on the left of the Latitude 6430u with VGA, a wireless switch and jacks for a headset and power. Make/Model Dell Latitude E6430. Hard Drive 500GB. Drive DVD R/W. All prices displayed with products apply to England, Wales and parts of Scotland. Wireless Yes. AC Adapter Yes. Power Cable Yes. Item Description Processor: Intel Core i5-3340 2.70GHz Hard Drive: 128 SSD Memory: 4 GB Graphic Card: NVIDIA NVS 5200M Ports: 2 Usb 2.0/ESATA , 1 Usb 3.0,Express Card Port,Ethernet, Audio Combo,SD Card Reader Connectivity and Security: VGA, HDMI Fingerprint Reader OperatingSystem: Windows 10 Pro Wi-Fi: Yes Optical Drive: Yes Camera: Yes 720p HD Bluetooth: Yes 4.0 AC Power: 12 V Note: This is a Fully Functional ready to go Laptop. The Laptop has a few marks and scratches on body, but this will not affect in any way the functionality of the item. Please see the pictures provided. Condition: Grade B Additional Information: All Items are checked and tested prior to dispatch. We aim to provide a high-class service and should you not be 100% happy, please contact us prior to leaving any feedback. Many thanks for choosing us. The Laptop has a AZERTY keyboard layout. What's Included ?. It is a versatile laptop, with 4 x USB 2.0 ports, on-board Wi-Fi, VGA as well as the standard headphone and microphone jacks. Hard Drive 120GB SSD. Ram 4GB RAM. Dell latitude E6430. 500 GB Sata 6.0/s @ 7200 rpm. 6 GB DDR3 1600 Mhz Dual Channel. Storage:320 GB SATA hdd. In great condition inside and out Laptop looks good. UK adapter and power cable provided. Processor: Intel Core i3 3rd Gen.
3 x USB / HDMI / VGA / headphone / SD Card Slot. 14' HD Widescreen 1600 x 900. Processor Type Core i5. Hard Drive Size 320 GB. 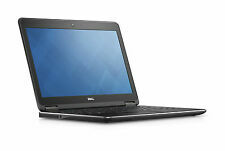 Dell Latitude E6430 i5 3320M 4GB 320HD Windows 10 DVD HDMI. ONE YEAR WARRANTY. This Item is Certified Refurbished This Certified Refurbished product is tested and certified by a third-party refurbisher to look and work like new, with limited to no signs of wear. Dell e6430 14.1". 1x Dell e6430. As part of the sale you"ll receive CCTV & DVR. With its reinforced 14” HD display and optional easy-to-carry handle, the ruggedized Dell Latitude E6430 ATG features a tough exterior and feature-rich interior. Model: Latitude E6430 ATG Semi-rugged. Item Description Processor: Intel Core i5-3320 2.60GHz Hard Drive: 250GB SSD Memory: 4 GB Graphic Card: Intel HD Graphic 4000 Ports: 2 Usb 2.0,ESATA, 1 Usb 3.0,Express Card Port,Ethernet, Audio Combo Connectivity and Security: VGA, HDMI OperatingSystem: Windows 10 Home Wi-Fi: Yes Optical Drive: Yes Camera: No Bluetooth: Yes 4.0 AC Power: 12 V Note: This is a Fully Functional ready to go Laptop. The Laptop has a few marks and scratches on body but this will not affect in any way the functionality of the item. Condition: Grade B Additional Information: All Items are checked and tested prior to dispatch. We aim to provide a high-class service and should you not be 100% happy, please contact us prior to leaving any feedback. Many thanks for choosing us. We will not ship your parcel unless you have paid the additional delivery charges above. Item Description Processor: Intel Core i5-3320 2.60GHz Hard Drive: 128 SSD Memory: 4 GB Graphic Card: Intel HD Graphic 4000 Ports: 2 Usb 2.0, 2 Usb 3.0,Express Half Mini Card Port,Ethernet, Audio Combo, 8 in 1 Card Reader Connectivity and Security: VGA, HDMI Fingerprint Reader OperatingSystem: Windows 10 Home Wi-Fi: Yes Optical Drive: Yes Camera: Yes 720p HD Bluetooth: Yes 4.0 Note: This is a Fully Functional ready to go Laptop. The Laptop has a few marks and scratches on body but this will not affect in any way the functionality of the item. Condition: Grade B Additional Information: All Items are checked and tested prior to dispatch. We aim to provide a high-class service and should you not be 100% happy, please contact us prior to leaving any feedback. Many thanks for choosing us. 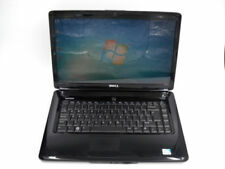 Dell Latitude E6430 - Intel Core i7-3520M - 16GB RAM 256GB HDD HDMI Laptop 14.1"
Customize Your Specs! RAM + HDD + SSD + Windows! Dell Latitude E6430. 128GB SSD HDD. All In One. We recycle.